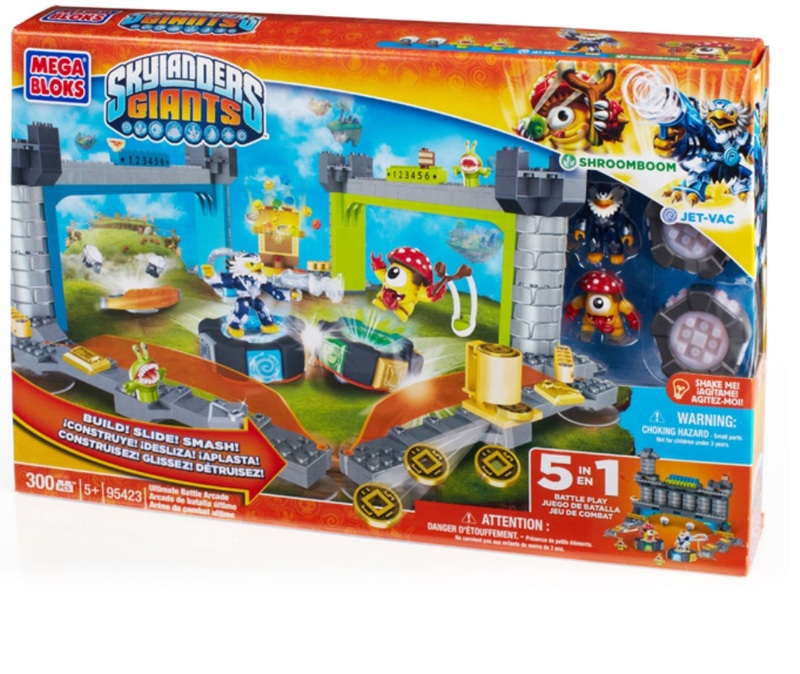 Product Detail Summary: Get ready to build, slide, spin and smash with the Ultimate Battle Arcade by Mega Bloks Skylanders GiantsTM! Use the included Shroomboom and Jet-Vac – or bring your own Skylanders – and compete with your friends in one of five games. Fire coins into the target zone with Coin Shooter Master all five games to become the champion of the Skylands!